Active substances are rarely administered alone. For example, levothyroxine, a synthetic form of the thyroid hormone, indicated in the treatment of hypothyroidism, is administered at a very low dosage, ranging from 15 μg to 200 μg. These very small amounts of powder mean that it is not possible to manufacture tablets containing only this drug. Hence, the formulation of levothyroxine tablets requires the combination of the hormone with one or more non-medical agents known as pharmaceutical inactive ingredients or excipients that serve varied and specific pharmaceutical functions1. Excipients play a central role in the drug development process, in the formulation of stable dosage forms and in their administration. A bad choice of excipient can even lead to severe intoxications, as experienced by epileptic patients in Australia in the late 1960s who were taking phenytoin capsules2. The calcium sulphate used as a diluent in the capsule had been replaced by lactose and this substitution, considered to be harmless, resulted in an increase of the mean serum phenytoin concentration by a factor of 4.5, which is considerable for an active substance with a narrow therapeutic index such as phenytoin. The explanation lies in the solubility of the excipient: lactose is freely soluble in water, whereas calcium sulphate (dehydrate) is very slightly soluble in the same medium. 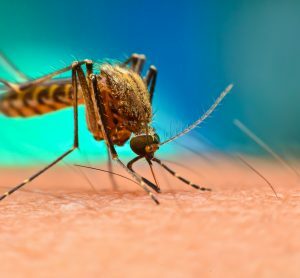 Thus, in the original formulation, calcium sulphate acted as a matrix former and prolonged the release of the drug, whereas lactose provoked an immediate and massive release of phenytoin above the toxic threshold. Confusion between excipients can also have a fatal outcome: in 2007, pharmaceutical manufacturers in Panama used diethylene glycol, which they believed to be glycerine, for the formulation of a cough syrup. Diethylene glycol, which is used in antifreeze, is nephrotoxic and hepatotoxic and can result in multiple organ dysfunction syndrome, especially in children. The European Pharmacopoeia (Ph. Eur.) 4 gave the following definition of an excipient: “An excipient is any component, other than the active substance(s), present in a medicinal product or used in the manufacture of the product. The intended function of an excipient is to act as the carrier (vehicle or basis) or as a component of the carrier of the active substance(s) and, in so doing, to contribute to product attributes such as stability, biopharmaceutical profile, appearance and patient acceptability and to the ease with which the product can be manufactured. Usually, more than one excipient is used in the formulation of a medicinal product.” The terms vehicle and base are further defined in the same pharmacopoeia: “A vehicle is the carrier, composed of one or more excipients, for the active substance(s) in a liquid preparation” and “A basis is the carrier, composed of one or more excipients, for the active substance(s) in semi-solid and solid preparations.” Tables 1 and 2 give an example of a vehicle and a basis respectively. As specified in the Ph. Eur. 4 definition, the excipient may not be present in the final product, but served in the manufacture of the product, like the anhydrous ethanol solution of polyvinylpyrrolidone used as a binder in the manufacture of effervescent tablets. The solvent evaporates during the drying of the granules. The Ph. Eur. 4 definition does not include excipients as containers. Another definition of excipients from the International Pharmaceutical Excipients Council (IPEC, 1995) points out the different possible functions fulfilled by excipients: “Excipients are all substances contained in a dosage form other than the active substance or finished dosage form, which have been appropriately evaluated for safety and are included in a drug delivery system to either aid the processing of the drug delivery system during its manufacture, protect, support, enhance stability, bioavailability, or patient acceptability, assist in product identification, or enhance any other attributes of the overall safety and effectiveness of the drug delivery system during storage or use.” Excipients can contribute to the processing of the drug delivery system. For example, lubricants help to fill the die on a compression machine. They can protect the pharmaceutical dosage form from oxidation by acting as antioxidants. They can also be used to give a form to the medicine, e.g. hard fat in suppositories. Antimicrobial preservatives can enhance the stability of the preparation, permeation enhancers promote absorption and hence they have an impact on the bioavailability of a drug. Other excipients such as sweeteners modify the taste of a medicine and contribute to improving patient compliance. And finally, colourings enable the identification of medicines and help to decrease the risk of patients mistaking one drug sub – stance for another. The boundary between an excipient and an active substance is not as clear as it appears. Some excipients are sometimes also used as active substances. The well-known castor oil for instance is an oleaginous vehicle, solvent, plasticiser. But it is also used a laxative (Table 3). The intended function of an excipient is to guarantee the required physicochemical and biopharmaceutical properties of the pharmaceutical preparation. The US National Formulary gives a list of the excipient categories (Table 4, opposite). Some excipients are multi-functional, which means they belong to different categories. For example, hypromellose, a cellulose derivative, may be used as a coating agent, emulsifying agent, viscosity increasing agent, suspending agent or tablet binder. Since excipients are key parts of the formulation of a medicine, it is now a compendial requirement to test their functionality and control the properties that may influence their suitability and subsequently the properties of dosage forms prepared from them. 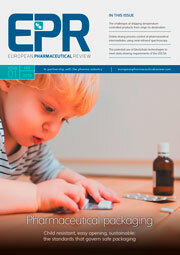 The history of the functionality testing of excipients in Europe is relatively recent3. It began in 1995 as the Ph. Eur. formed a working party to test the functionality of excipients. The same year, the Ph. Eur. commission decided to include functionality-related tests at the end of the monographs; this part being non-mandatory. 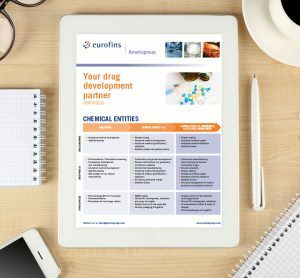 In 2002, the European directory for the quality of medicines (EDQM) organised a symposium in Brussels dedicated to the functionality-related testing of excipients and in the same year, a general monograph on substances for pharmaceutical use including active substances and excipients and defining the required properties of these substances appeared in the Ph. Eur. Six years later, a general monograph on functionality-related characteristics (FRCs) of excipients was published in the Ph. Eur. and since 2008, numerous monographs of excipients have been revised and a specific section on FRC was added at the end of the monograph body. Functionality of an excipient is determined by its physicochemical properties, its molecular structure and in some cases by its content of by-product or of additives, thus, additives may contribute to the functionality of an excipient. For instance, cetostearyl alcohol emulsifying (type B) is a mixture of stearyl alcohol and cetyl alcohol which additionally contains an anionic surfactant, sodium lauryl sulphate, which contributes to the emulsifying properties of the product. In addition, the functionality of an excipient may depend on complex interactions between the constituents of the formulation and on stresses related to the manufacturing process (Ph. Eur 5.15). Thus, the functionality can be evaluated only in the context of a particular formulation and manufacturing process and frequently by a number of analytical methods. FRC tests often refer to a test already present in the body of the monograph. If a test that is necessary to differentiate grades of the same excipient is in the quality mandatory part of the monograph (e.g. apparent viscosity, degree of substitution), a cross reference to this test is included under the FRC section. For example, maltodextrin is an excipient used as filler and binder in tablets and capsules. It is obtained by partial hydrolysis of starch. The dextrose equivalent of this compound is an important characteristic identifying the product. The FRC section makes a cross-reference with the mandatory test section. The FRC guidelines can contribute to the quality of a medicinal product by improving the consistency of the manufacturing process and the performance of the medicinal product during use. FRC tests help manufacturers of pharmaceutical products to establish specifications with demonstrated critical roles based on standard analytical methods (FRCs can be considered as a regulatory guidance). 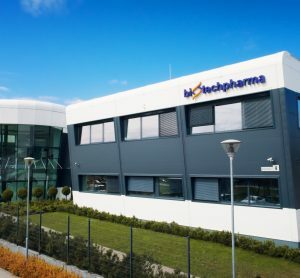 They provide manufacturers, users and licensing authorities with a common language to support the supply of excipients with specified properties and facilitate the application of process analytical technology. They limit the batch-to-batch variation of excipients (that are sometimes of natural origin and composed of a mixture of chemically related compounds). Finally, FRCs improve knowledge of the pharmaceutical uses of excipients. The specifications of excipients include not only a chemical characterisation (composition, purity), but also physicochemical testing (particle size distribution, specific surface area, bulk density, flowability etc.) by means of different techniques. Figure 1 gives an overview of the of the different tests described in the Ph. Eur. 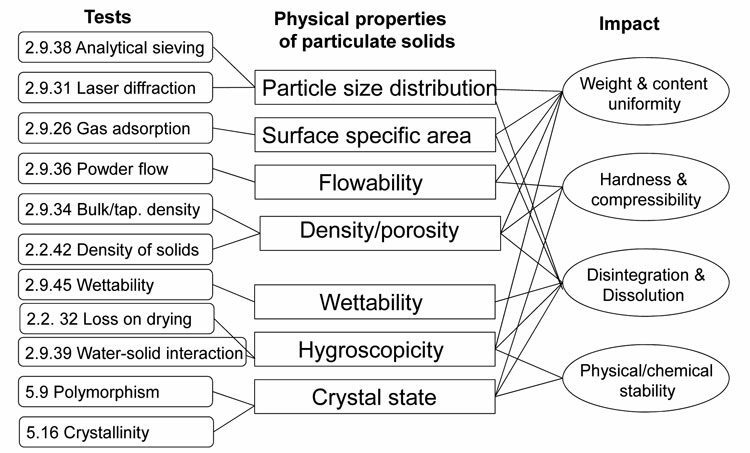 to assess the physical properties of particulate solids and the impact these determined properties may have. For example, particle size distribution can be measured either by analytical sieving or by laser light diffraction. 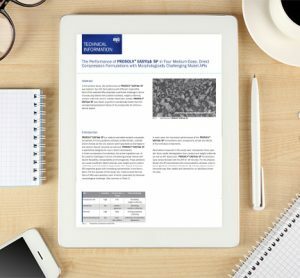 The particle size may have an impact on the mixing properties and consequently on the weight and content uniformity of a pharmaceutical dosage form. It may also influence the dissolution rate of a tablet. Disintegrants, a widely used category of excipient, have an influence on the dissolution profile of tablets. They act mainly by two mechanisms: either swelling or capillary water absorption (wicking). Swelling can be measured by a settling volume test described in the Ph. Eur. It consists of determining the volume of the disintegrant powder after swelling and dispersing in a non-solubilising liquid (like propanol or water). Wicking can be measured by a hydration capacity test that determines the ratio of the mass of a hydrated disintegrant powder after centrifugation to the initial mass of the sample. Table 5 shows some FRCs described in Ph. Eur. Excipients play a crucial role in the quality of dosage forms. It is important to control their functionality-related characteristics (FRC). Since 2008, FRC tests have been introduced in Ph. Eur. They are not mandatory and concern only the typical or major uses of excipients without being exhaustive. In addition, they improve knowledge of the pharmaceutical use of excipients and are a sort of regulatory guidance that helps manufacturers of pharmaceutical products to establish specifications with demonstrated critical roles based on standard analytical methods. Pascal Furrer is a pharmacist. He studied at the University of Geneva and received his PhD in Pharmacy from the University of Lausanne in 2009 then joined the Laboratory of Pharmaceutical Technology at the University of Geneva where his work includes the study of sterile formulations and excipient functionality.